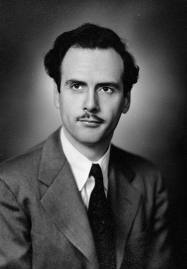 In the midst of media hoopla about another technology being laid to rest–namely the end of the space shuttle program–there was a lesser-told story in the news this week about the centenary of one of the more technologically engaged and provocative thinkers of recent years: Marshall McLuhan (1911-1980). Coming from a background in literature, McLuhan has exerted a significant influence over media studies for decades since his death in 1980. Adequate bios and overview of McLuhan and his work can be found here and here, and an interesting 1967 New York Times piece is here. Douglas Coupland (author of Generation X, Life After God, and Generation A) recently published his own quirky biography, Marshall McLuhan (see a review at the National Post, here). But what does McLuhan mean for scholars and students interested in religion? A few have outlined these facets, some pointing to McLuhan’s conversion to Catholicism; by all accounts he was deeply committed to his faith. Of more interest are the implications of his otherwise secular, media-oriented ideas on the way we understand religion itself. A broader query would ask: what does media have to do with religion anyway? An answer to which McLuhan strangely offered little. Some of the sporadic, direct engagements between media and religion were posthumously collected in The Medium and the Light. In McLuhan’s wake, however, has been a tremendous output of the relations between media and religion. The most recent issue of the academic journal Culture and Religiontakes the “mediatisation of religion” as its focus, and the introduction by Mia Lövheim and Gordon Lynch begins: “Interest in media has become one of the most significant areas of academic growth in the study of religion over the past twenty years.” During that time, academic programs in “religion and media” have emerged at the University of Colorado, USC, NYU (The Revealer‘s publisher), the University of Edinburgh, and elsewhere. And major conferences have been biennially hosted by the International Conference on Media, Religion, and Culture in Sao Paolo, Sigtuna, Sweden, Toronto, and forthcoming in Eskisir, Turkey. These meetings have resulted in wonderful collections of published writings on the topic. No one involved with these projects, as far as I know, seems to directly account for McLuhan as some godfather of the interdisciplinary field, but I would argue that none of these scholarly endeavors would have been possible without him. Contemporary scholars, working toward more critical dimensions in the relations between religious media and mediated religion, rarely quote from McLuhan, and that’s probably as it should be–McLuhan was happy to utter grand sentences, and had a knack for aphorisms that may or may not be proven correct. But the proclamations of the Toronto literature professor, especially in the 1960s, opened doors to ways of thinking far beyond the “content analysis” that can still occupy religious thinking on the media. McLuhan’s most-famous dictum, “The medium is the message” was expanded on in his 1964 Understanding Media: The Extensions of Man. The statement is certainly hyperbole, but building on others’ work at the time (including Lewis Mumford, Eric Havelock, and Harold Innis) McLuhan used the very media he examined to shock us into the reality that how a message is conveyed really does matter. Without McLuhan, we’d still be concentrating primarily on the translation of ancient Greek terms to make them biblically coherent, on analyzing the plot of a film in hopes of revealing some pseudo “Christ-figure” in the midst of it, on wondering what the symbols of rituals “really mean.” Instead, we now focus on performance, on cinematography, on the text-as-object, and in general on the material realities and reception of messages within specific contexts. By no means am I suggesting that McLuhan changed all that by himself, but he was a key force in getting us to think about the package and not just the contents, especially through the mediated repetition of the catch-phrase about the medium as the message. McLuhan taught me that the linguistic word, including the “Word of God,” does not exist outside of its material, mediated reality: words are printed, chiseled, spoken, digitally recorded, chanted, calligraphed, and dramatized. They are not the same in each form, and they do not mean the same thing. Words are not simply words are not simply words. And of course, all this has implications for the New Media age. 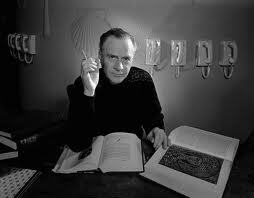 McLuhan discussed media in terms of “extensions” of our very nature as humans. They–whether the telegraph or telescope, pen or iPad–are prosthetic devices that not only enable us to do things we’ve never done and go to places (like space) we’ve never been, but also change our very being. There are no secondary appendages that can be taken on and off willy-nilly while the core remains unchanged. Once the technological, prosthesis of media is in place, everything is changed and there is no going back.